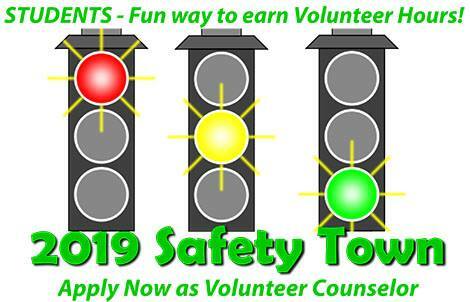 Students – Volunteering as a SAFETY TOWN COUNSELOR is a fun way to earn volunteer hours! Openings are limited.! Volunteers must have completed 6th grade before Safety Town. New Counselor application can be completed here.